Choosing the right hotel can be a vital part of a successful trip, whether it is for business or for pleasure, and Malaysia has an excellent range to choose from whatever your budget. 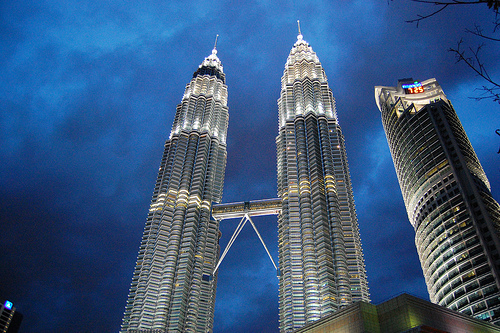 Malaysia has an excellent reputation for delivering luxury hotels, and some of the best hotels on the Asian continent are to be found in its capital city of Kuala Lumpur. However, for those on a budget we will also look at some of the best budget hotels available. When it comes to looking at luxury hotels in Malaysia’s capital, they don’t come much bigger or better than the Shangri-La, which has frequently won awards in the press for its welcome and service. This five-star hotel boasts a range of restaurants and bars within the complex, and being located right at the heart of the city makes it easy to use as a base to explore the city. The prices may be a little bit on the high side for some people, but the level of luxury and the attentive service of the staff is a reflection of the quality that is being paid for. Lying in the northern reaches of Malaysia is the idyllic island resort of Langkawi, and the Four Seasons Resort on the north coast of Langkawi is certainly one of the most comfortable bases from which to explore the island. The hotel itself is delightfully located near the golden sands of the beach, and many of the rooms and villas offer direct access straight on to the beach. The interiors are exceptionally comfortable and spacious, and really make your stay comfortable, whether it is a brief trip or a relaxing fortnight or more. The location of the hotel is ideal for those looking to explore Langkawi, and one of the great highlights is a kayaking trip through the tropical mangrove forests lying nearby. For those who are looking to get in a quick eighteen holes while on holiday, the unique jungle golf course offers some very different challenges from the standard round of golf. There are few places in the world more beautiful than Langkawi, and the island offers plenty for those looking for a relaxing beach holiday and the adventurous souls alike. For those who are traveling on a tighter budget to Kuala Lumpur, there is no doubt that the SS City Hotel is certainly one of the best budget hotels in the city. This nautical themed hotel is a charming place to stay and offers clean rooms at a very competitive price. The word of warning that I would add with this hotel is that although it is a great base from which to explore Malaysia’s capital city, the rooms aren’t the largest so don’t expect a lavish suite for your money. When it comes to enjoying a holiday in a jungle location, there is no doubt that the Sabah Hotel can boast a site that is right at the heart of some very dense jungle. Located a short walk from the town of Sandakan this hotel lies surrounded by the thick jungle that attracts so many people to Borneo, and is a good location from which to explore the area. The rooms are competitively priced, and although it may not be the most elaborate and plush of hotels, the rooms were clean and comfortable enough. One item worth noting is that the restaurant was not as competitively priced as some of those in Sandakan itself, but the food was still nice enough.